The catalytic converter is one of the most underrated exhaust parts. It’s so underrated that some aftermarket exhaust system kits don’t even include one. Although a small and seemingly insignificant part, the catalytic converter performs one of the most important tasks in the entire exhaust system – it converts the harmful gases such as carbon monoxide into less harmful gases before they go out of your exhaust system and into the atmosphere. An aftermarket catalytic converter performs the same task as your stock converter, except better. You’ll find high flow CAT catalytic converter models that make the entire harmful gas conversion process significantly faster. Generally, aftermarket CAT catalytic converter models can be classified into two categories: 2-way and 3-way converters. Two-way converters are typically used with diesel engines, and they perform two tasks simultaneously – they convert hydrocarbons to water and carbon dioxide, and carbon monoxide to carbon dioxide. As a result, the most harmful emissions that come from your engine (hydrocarbons and carbon monoxide) are reduced into less harmful gases (carbon dioxide and water). Three-way converters are used with all petrol-based vehicles. They do everything two-way converters do, plus convert nitrogen oxides to oxygen and nitrogen. 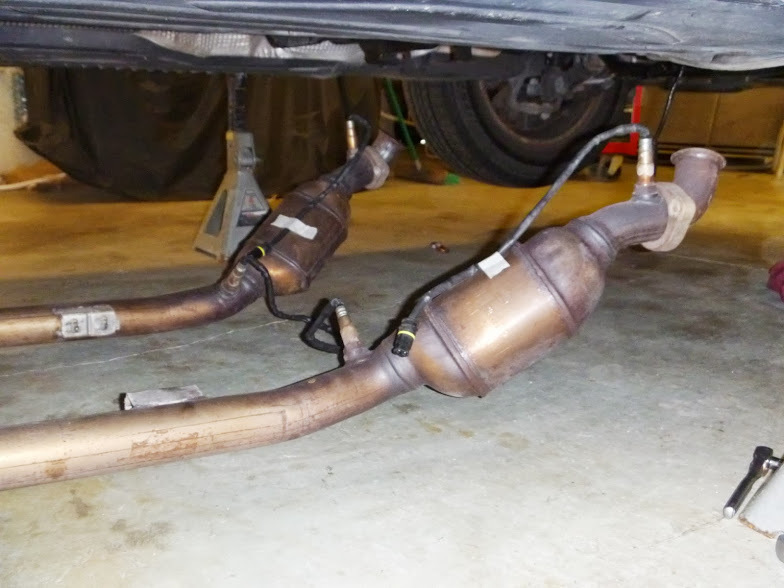 When shopping for catalytic converters, you’ll come across universal fit and direct fit models. Direct fit models are specifically designed to fit your vehicle’s model, make and year perfectly, without any extra modification. These are reliable, easy to install, and recommended by most car manufacturers. Universal fit models, on the other hand, may require some modification before you install them, but they’re readily available and thus, cheaper. if you’re handy with a welder and some basic car tools, however, fitting one shouldn’t be a problem. Many people think that a high-flow catalytic converter will improve their engine’s horsepower and torque, which isn’t really true. A high-flow catalytic converter will only benefit you if you’ve performed major engine upgrades. A brand new cat that has a fully functional catalytic converter probably won’t benefit off of one. However, if you have an older car that has an inefficient or clogged converter, then you’ll definitely see an improvement. With that said, if you own a vehicle that doesn’t have a fully functioning catalytic converter, you should definitely look to replace it as soon as possible, otherwise your vehicle may fail emission tests and get you fined. Similarly, if you just performed some engine modifications to your vehicle and want to get the maximum performance possible out of it, you should look to install a high-flow aftermarket converter.